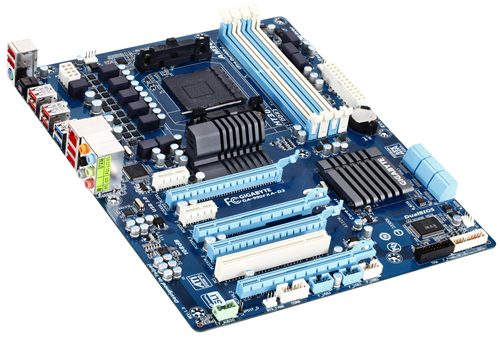 As you can see, The GA-990FXA would be the flagship offering of Gigabyte’s AM3+ series motherboards followed by UD5 and UD3. 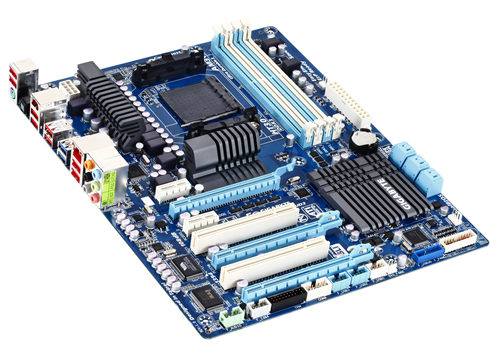 Each motherboard features a 8+2 Phase VRM design except the GA-990FXA-D3 which is made up of a 4+2 phase VRM cooled by their own exquisite heatsink design. 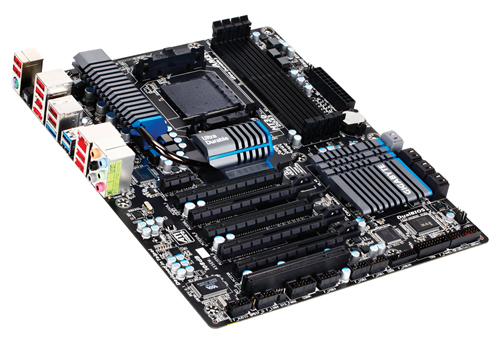 All motherboards feature Multiple Crossfire/SLI GPU support, Bandwidth vary from board to board. Th northbridge is made up of the AMD 990FX while Southbridge includes the SB950 chip. 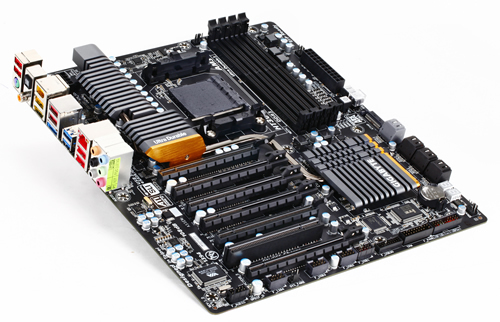 Four DDR3 memory slots on each board allow dual channel memory support with frequencies of 2000mhz + (OC). Sata 3 6GBps and USB 3.0 ports are included for storage connectivity. 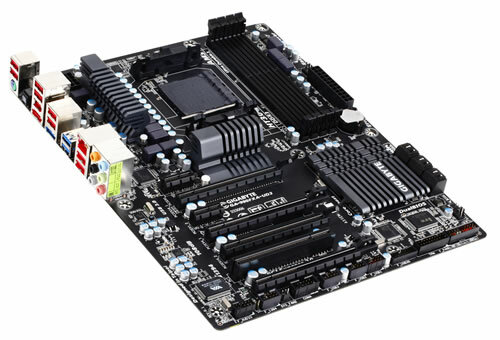 For more details, Check out Gigabyte’s official webpage here.